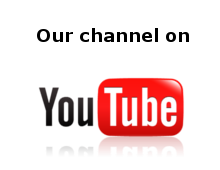 Welcome to Huston.TV, the home of Adrian Huston's�YouTube channel! 17 May 2011 - Who gets those darned Tax Returns? - Adrian's Belfast Telegraph article on who needs to file a return. Click here to read. April 2011 - Plumbers' Tax Safe Plan - regsiter by 31 May 2011 to be able to tidy up anyhting rong with your tax affairs or any undisclosed income - view Adrian Huston being interviewed by Bill Jeffrey - click here. 28 March 2011 -� BBC reports Adrian's concern that 2010/11 tax code blunder for pensioners could be used by fraudsters using email and phone calls. Click here to read. 23 March 2011 -� Adrian comments on today's Budget speech by George Osborne. Click here to view video. 8 October 2010�- Adrian set up a Facebook group to save a heroine from disclipline. Aim - to�lend moral support to the deputy Head teacher who spoke out about the state of schooling in the UK.� See her here. Check out the Press Association story here. �Join the group after you read more here. Adrian Huston is a former tax inspector, and now a tax consultant. If you are interested in getting some personal advice or help declaring something for tax, don't hesitate to contact him through this site or on 028 9080 6080. 8�September 2010 - Adrian on BBC Radio 2 The Jeremy Vine Show about the 5 million tax bills or repayments to be issued up to Christmas 2010. 7 September 2010 - Adrian on BBC TV Northern Ireland, also BBC Radio Ulster and BBC Radio Cumbria. Talking about the 6 million people being contacted by HMRC.� Millions will be told they owe an average of �1,400.� Millions will get refunds averaging �500.� For a fixed fee review of your tax calculations for 2008/09 and 2009/10 see above. 23 June 2010 - Adrian on national BBC Radio 2 - Jeremy Vine show.�1200-1230 Talking about trying to live without paying VAT Adrian fields queries from Jeremy's listeners for about 30 minutes. 22 June 2010 - new Chancellor George Osborne announces the Emergency Budget. CGT rises to 28% for higher-rate taxpayers.� Basic rate taxpayers pay 18% and then 28%�if their combined income and gains exceed the basic rate threshold �43,875. View�Adrian's Youtube commentary video here. View/print a budget summary in pdf here. 26 February 2010 - Dungannon couple jailed for tax offences -� for more and a BBC TV interview with Adrian click on IN THE MEDIA tab. See the YouTube link bottom right or click on www.YouTube.com/HustonTV to view explanatory videos about making disclosures to HMRC, and other interesting tax stories. Copyright © 2009 Huston & Co. Designed by Dynumo Interactive Studios.